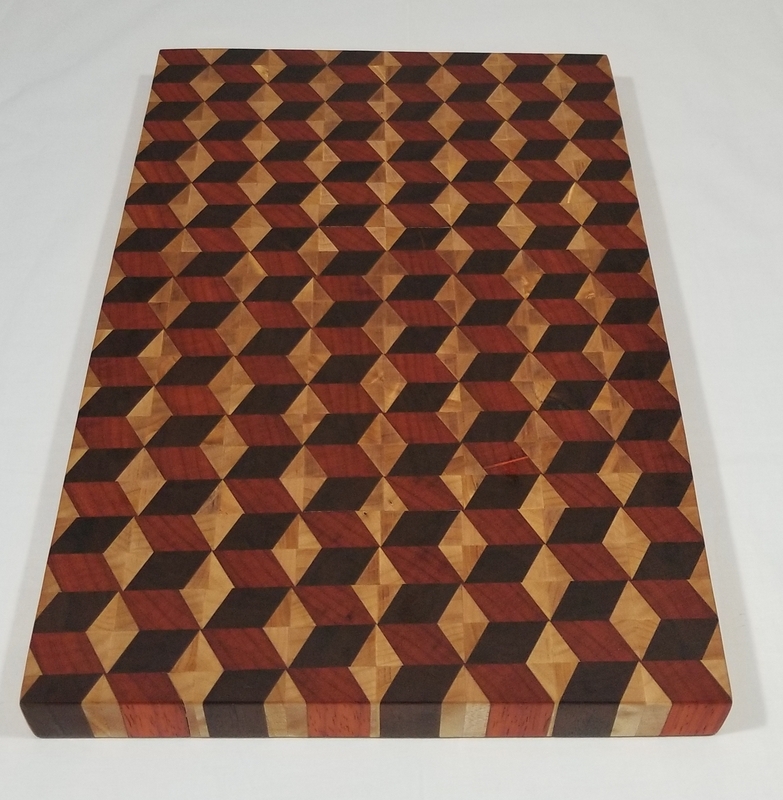 Solid Wood Cutting Boards in fun designs. Built to last and to be used daily. 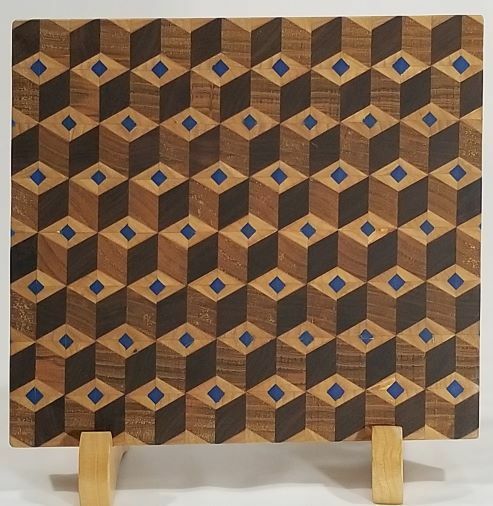 Finished with mineral Oil. The Blue Dot/Red Dot Boards can also be made with white centers. 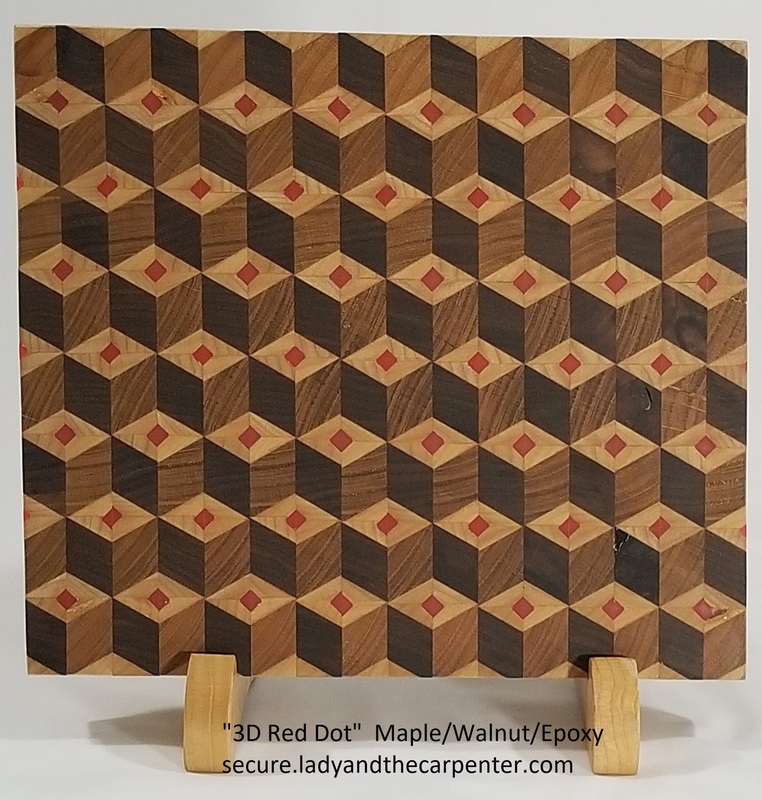 The red and blue dot boards are 11" x 10" x 1"
The Fade to Center Board is 12" x 13" x 1". 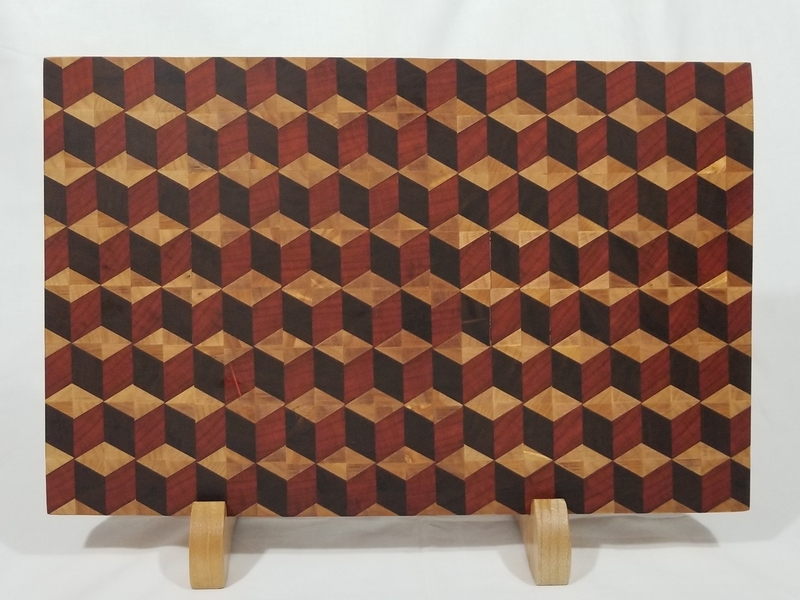 The Qbert boards is 16" x 10" x 1"
If you have another 3D design that you would like please send me a photo. We can discuss timeframe and price.